First of all: This round will be anonymous. For those of you who have never played an anonymous round of FM, here's how it works. -You sign up by sending me (pofa) a PM saying you want to sign up. DON'T SIGN UP BY POSTING ON THIS THREAD! The point of an anonymous game is that no one should know exactly who all is playing! -On the day the game starts, you will be sent a username and password to a new DCTP account created especially for this round. (Let's all give Jd a round of applause.) Whenever you want to make a game-related post on this thread, use that account and nobody will know it's you! The list of players will consist of those usernames, and will be shown on the front post. -For instance, let's say Akonyl decides to play. He sends me a PM saying so, and I return him a PM giving him the username "BlueBars" and the password "Shiny." "BlueBars" will appear on the players list instead of Akonyl, and nobody will ever be able to link him to Akonyl at all. Important: In past anonymous rounds, there has been an in-game penalty for revealing your true username to other players. I'm not going to do this, because I'd rather the players try and figure out each other's roles to win, not each other's names. So we're going by the honor system. However, I'm going to ask everyone who plays to please remember WHY the game is anonymous. There are a lot of people who feel trapped by others knowing how the usually play and making decisions based on their hunches about the person's playing style and not about evidence. We're trying to give those people a chance to make a fresh start here where nobody pre-judges the way they act to determine their role. So I'm asking you guys not to reveal yourselves to each other, and to respect the wishes of those you contact not to reveal themselves either. They joined an anonymous round for a reason, so don't spoil their fun by trying to figure out who they are irl, because there's no in-game reason to do so except to gain a somewhat unfair advantage over them, since they're playing by the rules and trying not to do the same to you. PM me to sign up and begin the holiday fun! Last edited by pofa on December 13th, 2012, 5:06 pm, edited 1 time in total. - If Vermouth or Kid has a disguise of an FBI subordinate, regardless of if they use the disguise during the game, it will be counted in the subordinate list and James will receive a small hint akin to, "You believe something is strange with your suborinate(s)..." Akai/Jodie/Camel/Kir being Anokata will not count toward this notification, because they would not be in disguise. Anokata will be included in the number of FBI agents in the game if he's one of those roles, but there won't be anything strange about him. James can also receive Anokata's results in this case. Last edited by pofa on December 14th, 2012, 9:41 pm, edited 1 time in total. Injured members of the Black Organization will lose all abilities (including sniping). Injured members may still kill each night, as well as utilize items such as the Black Suitcase, bow-tie, and tranquilizer watch. Note: Anokata will not be a "BO" role. Anokata can be any "town" role except DBs, Yumi, and Sonoko. Anokata will be able to use all the statuses and abilities of his role as if he were a town player. Sonoko will not befriend Anokata. Anokata CAN be a lover. When ID'd by DBs, Anokata can be positively ID'd as both his "town" role and as "Anokata." Note: Vermouth may not arrest someone for a blamed action for any reason. Vermouth will receive three disguises in prep phase. During prep, she may choose to put on one of those disguises (this disguise can be used N1). She may also choose not to do so, in which case she can don a disguise N1 that can be used starting from D1. 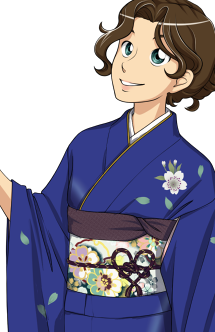 She may freely move between her 3 disguises throughout the duration of the game (they're not "used up" like Irish's if she takes them off), but it will take one phase in order to remove a disguise and don another. That is, if Vermouth is disguised as Ran D1 and wishes to switch to Shinichi, she must PM the GM with that request. She may use her Ran disguise's actions D1, will be undisguised N2, and she may begin to use the Shinichi disguise D2 until she decides to take it off. If Vermouth gets injured, she will keep the attributes (interrogate, observe, items) of the disguise she was wearing when she was injured, but she won't be able to use its abilities. She'll still have a scent. [size=80]Note: Pisco can erase the body (or not) every time he kills. He may also erase the body of another BO's kill once per "kill cycle" (the cycle restarts when every BO member has had their turn to kill). But if only two BO members remain (Pisco and another), Pisco can't erase every night, but only when he himself kills. Note: If Kir is discombobulated and doesn't send in any actions that phase, she will still know that her actions failed due to Betrayal being a passive ability. 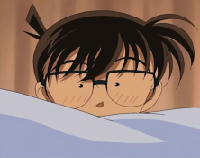 Note: Shinichi & Conan may only be present in the same game if Vermouth or Kid has a Shinichi disguise. Anokata being Shinichi or Conan doesn't count; if that's the case only his role will be in and not the other one. [size=80]Note: If Ran successfully protects, she will become injured. NOTE: Agasa starts on Night 1 being able to use his gadgets. Kid will receive 3 disguises in prep phase. He may choose to don one of those disguises in prep to be used N1. 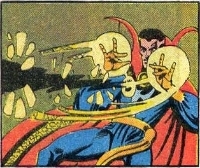 He may also choose not to do so, in which case he can disguise N1 and use the disguise starting D1. He can move freely between his 3 disguises throughout the duration of the game (they're not "used up" after he dons them like with Yukiko), but there will be a one-phase delay if he wants to change disguises. So if he removes a Ran disguise D1 to don a Shinichi disguise, he can use Ran's actions D1, will be undisguised N2, and can start using his Shinichi disguise D2. Note: Begins game outside Japan. Can opt to Travel OR Protect during the night. During the day, can either Travel OR Vote AND Protect. If he successfully protects, he will fly out of Japan. Yukiko will get a list of 5 costumes in prep from which to choose 3. She can don one of those in prep to use N1. She can also choose not to do so, in which case her next chance to disguise will be D1. Last edited by pofa on December 14th, 2012, 12:01 am, edited 1 time in total. - During the Prep phase, the player PMs the GM with the disguise he/she wants out of the list the GM sent along with his/her role. If disguise is used during prep, the disguise's abilities can be used N1, and there will be evidence of the disguise having happened in prep (SI's, HS's, arrests, and CE's will all come back positive for the disguise). - When disguised as a role, the disguised player retains any abilities from their actual role and gains all those of their disguise. - Vermouth and Kid CAN have the same disguise on at the same time, if they got similar lists. Same for Yukiko/Irish. - Travelers can be befriended. - If Calvados backups Investigate, he gets Gin's 4 investigations. If he backs up SI, he gets Bourbon's one SI. He can do either of these things if Gin and Bourbon aren't on the team, even if Anokata/Vermouth/Irish have investigations or SI. - Once per game, the BO may "Bribe" the GM to kill a player. This is not connected with the item "Black Suitcase;" you don't have to have the BS to use bribe. - The Frightened player won't know that he got Frightened unless he voted or used actions during the day, in which case he will get a PMing stating that his actions failed. - If Vermouth is in the game and he Detects Vermouth, heâ€™ll get a True. Same for Kid. If he asks for his/her disguised role, then he'll get a False. - An already stolen item will be gone from a playerâ€™s inventory and can't be stolen again. - Items stolen will NOT be added to the thiefâ€™s inventory. Akonyl (Anokata) uses Black Suitcase and interrogates xpon (Haibara). - No one will learn the attackerâ€™s identity in any way. - Irish will Abduct one character that is not played in the game by any player. The GM will send him the name of one random town-sided character not in the game. - He can use this every other night phase. So N1, N3, N5, etc. - When Irish is killed, his abducted character(s) will be discovered and the names become known to the town. - Neither the recipient of Watch or bow-tie nor Agasa learn each otherâ€™s identity (so CTU as Agasa will give the Watch to "Conia", and Conia (Ran) will receive it from "Agasa"). - Needs to accuse a player for a specific crime during a specific past phase: "Arrest Akonyl for Killing Conia on Night 1" or "Arrest Conia for Slandering pofa on Night 2" or â€œArrest Sebolains for disguising as Megure on Night 3." - If Yukiko or Irish is pinched and arrested, they do not get a new role automatically when freed. - Day/Night action and prep. phase action, can't be covered. - See Prep Phase abilities. Ran: If Ran successfully protects someone, she'll get Injured and can't protect anybody anymore. But she can still talk freely and vote. An Injured Ran MAY NOT be healed and lose her Injured status this way. Last edited by pofa on December 14th, 2012, 10:29 pm, edited 1 time in total. These are the changes I've made. Hopefully I've covered everything. Most of it was just clarifications anyway. 1. Anokata. He can now be any town role except Sonoko/DBs/Yumi. Sonoko also won't befriend him. See his role description. No more blame. Whoever is Anokata gets a gun and some alcohol added to their inventory of items. 2. Vermouth/Kid/Irish/Yukiko: I think this is what most of you guys wanted. XD Or close. Basically I'm going to give Vermouth/Kid 3 disguises in prep that they can keep and use and remove throughout the game with total freedom. There's a one-phase penalty for switching disguises. Meanwhile, Yukiko and Irish are the same as always--they don their disguises during the day and get to choose three out of five, which will be reloaded when they run out. Irish regains abduct. 3. I gave Pisco Accompany. Does anyone have a problem with this? 4. Calvados has Backup again. 5. No killing actions or BM during this round. 7. DBs all have identify and that's been clarified a bit too. 8. Yusaku now has the same abilities as Okiya, like he does in MM. So there are 3 roles in the game with Detect now. 9. Kogoro is gone. This reduces the interrogators in the round to Conan/Shinichi, Heiji, Hakuba, and the bowtie. 10. Sherry has been removed. 11. Yamato doesn't have arrest; only FA and investigate. 12. CE now leaves a notice. 13. Betrayal has been modified just a tiny bit to deal with new Anokata. 14. APTX is 3 rechargeable ones. I THINK that's it. XD Objections can be sent via PM or in the role discussion thread. ^^ You can make a suggestion whether you're playing the round or not and I'll consider it. Last edited by pofa on December 13th, 2012, 4:23 pm, edited 1 time in total.